Use Case: You have a lot of tar files (Because of some bad code) that you want to clear quickly Or you want to improve indexing process while reindexing repository. Pre-requisite CRX2.2 with Hotfix 2.2.0.46 or greater. repository read all TarPM index files entirely in memory. repositories, but requires gigabytes of free RAM. Special Thanks to Thomas Mueller and Jukka zitting from Adobe for this information. 1) You want to create file system view of repository on each activation. 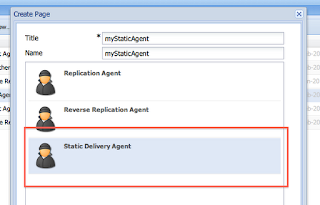 2) Create a new replication agent of type "Static Delivery Agent"
3) Double click on newly created agent and click on edit. Enter all description and click on "Rules" tab. 4) You can enter target repository (By default it is /tmp in unix system). Make sure that you have sufficient rights to that folder. 6) Now we have to override default static setting from felix console. For that please go to http://host:port/system/console/configMgr and click on "Static Content Builder". Default port there is 4502, You can change that according to your need. You might have to entry of agent:static in this case. 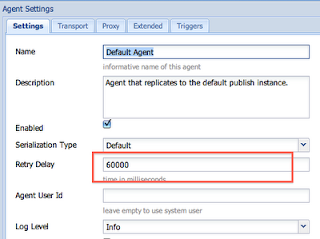 Note that if you are making above changes in autor, You have to activate static agent on publish after making change. 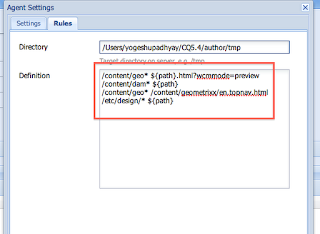 Note For creating file system view of DAM renditions or DAM Asset you might have to create some custom plugin. 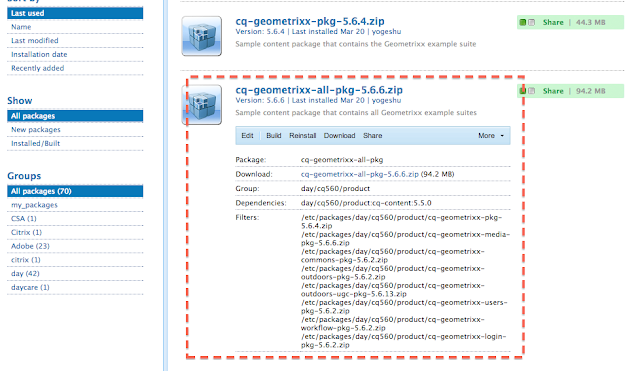 You can uninstall them to remove geometrixx. Special Thanks to Micheal Marth from Adobe for this information. Case 1: You are doing an upgrade project of publish instance. 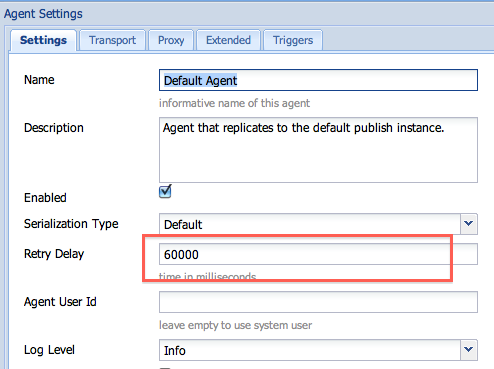 And you have created some dummy publish agent that will take replication request and keep it in queue. You forgot to change retry limit while creating the replication agent and now every 5 minute ( Or default retry time interval) replication event is trying to clear to queue. Now because of this all other valid replication agent is going through slowly. Case 2: One or more publish instance is down and replication queue is queuing up all the request. Again it is trying to retry replication job after default time period which slows down other replication queue. 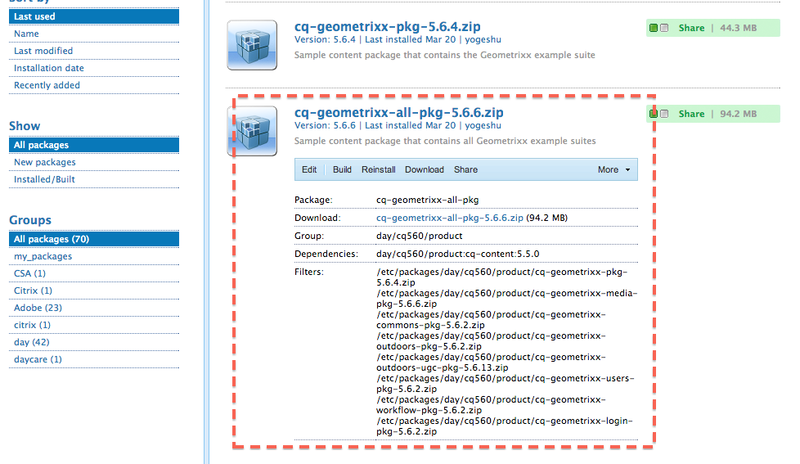 Assumption : You are using CQ5.4 or CQ5.3 with replication fix pack. So CQ uses top most job retry value to retry. So in order to set retry value of queue you need to change retry value of top most Job. If in case you forget to do that you can use below package to do that. 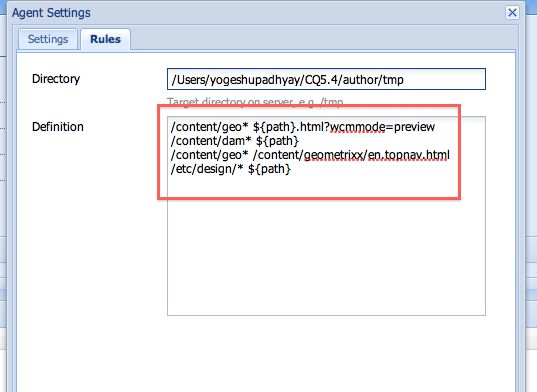 Case 2: For this you can use attached package to set or reset retry limit.